How 'Star Wars' Seduced Another Generation Of Kids The first Star Wars movie came out 35 years ago, but a never-ending stream of cartoons, books and video games has kept the saga current. Even for little kids too young to have seen the film, Star Wars has turned into a permanent part of their entertainment mythology. Aruna Jayaraman knows where to find lemonade. Her son's friend Alexander sells it out in front of his house every weekend, hoping to earn enough money to buy a $400 Lego Death Star. "We have gone to Star Wars-themed parties and gifted Star Wars Legos, because all the little boys are into it," says Jayaraman, a doctor who lives in Santa Rosa, Calif.
Jayaraman's son, Ishwar, and his friend are both 5 — meaning they were born after the last of the six Star Wars films came out. But just as all toddlers seem to go through a public works phase in which they want to play with trains and trucks, millions of slightly older boys find their way to Star Wars. "For the better part of the last decade, Star Wars has consistently been one of Hasbro's most popular boys brands, and one of Hasbro's top brands overall," says Derryl DePriest, vice president of boys marketing at Hasbro, which sells Star Wars toys and games. This coming Saturday, more than 1,200 bookstores and libraries nationwide will participate in "Star Wars Reads Day," a promotional event featuring author readings and costumed characters. "I don't think it compares to any other pop culture property" in terms of staying power, says Rachel Kempster, director of marketing at DK Publishing, one of several publishers with Star Wars lines. "They continue to sell well, though not much is changing in the movie universe." The original Star Wars movie was released back in 1977. If a kid these days happened to become fixated on another hit movie from that period, such as Jaws or Close Encounters of the Third Kind, his parents would be hard-pressed to find much on eBay beyond used DVDs. But there are endless amounts of stuff readily available for Star Wars fans of all ages — including more reasonably priced Lego sets and hoodies for babies, R2D2 spatulas and Darth Vader shower curtains. "A lot of our assortment is built around the hottest, trendiest thing that's happening right now, the latest movie release," says Scott Lametto, vice president of merchandise at Party City, which sells costumes and party wares. "Star Wars has become an evergreen, and it does well for us, day after day, year after year." 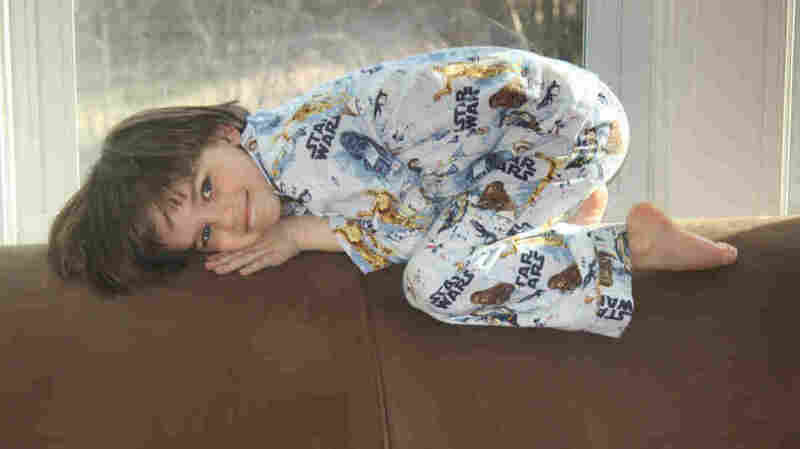 There's no mystery to why Star Wars remains popular with young boys, says Robert Thompson, a pop culture professor at Syracuse University. It's got just about everything they like — spaceships, creatures that look like dinosaurs, creatures that look like teddy bears. "The films are exquisitely simple and executed in a way so that they're user-friendly to a kid," he says. As for young girls, their interest in Star Wars tends to grow when there's some major event, such as the theatrical re-release of a movie, says DePriest, the Hasbro executive. "It's interesting that girls want what the boys are playing with, too," he says. "They don't want a Star Wars toy that is colored or changed to the types of play patterns girls want." 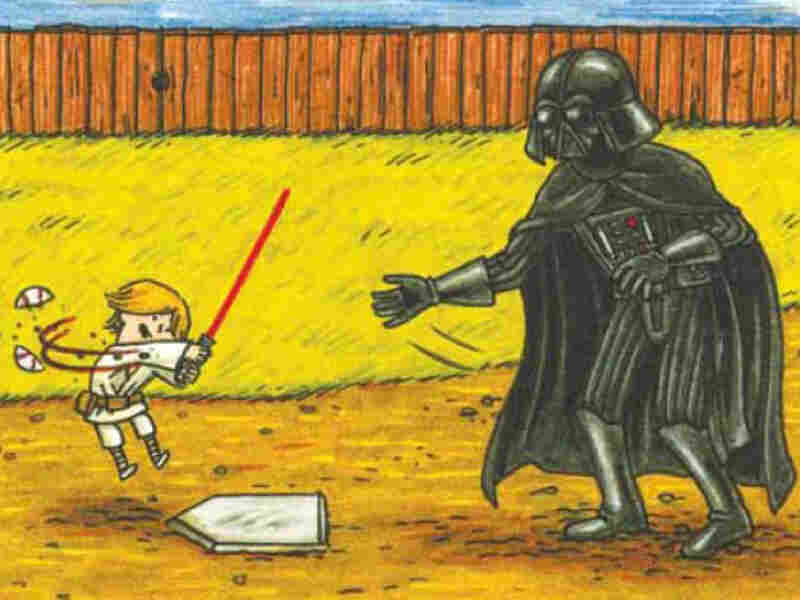 Camille Paglia, a humanities professor at the University of the Arts in Philadelphia, stresses the multiple portrayals of father-son dynamics — not just between Luke Skywalker and Darth Vader, but the master-apprentice relations of the Jedi in general. "The Star Wars saga ... fused ancient hero legends from East and West with futuristic science fiction and created characters who have entered the dream lives of millions," Paglia writes in her book Glittering Images, due out Oct. 16, in which she suggests Star Wars creator George Lucas is "the greatest artist of our time." The depth of Star Wars' imaginative world is a major part of the attraction. Lots of young boys can rattle off information about the differences between spaceships or entire galaxies without having seen any of the movies. "Boys versed in Star Wars share a private language about a vast technical universe that is simultaneously imaginary and concrete, re-created in Lego plastic blocks," Paglia says in an email interview. It's unusual for movies that appeal to one generation of kids to catch the fancy of the next. And, while no self-respecting 15-year-old would be caught dead wearing a T-shirt featuring one of his early childhood favorites — Thomas the Tank Engine, say, or the Berenstain Bears — plenty of teens are still into Star Wars. Volkswagen's 2011 Super Bowl commercial featuring Little Darth Vader became an overnight Internet sensation. "It's become such an important part of kids' lives when they're growing up that it has a nostalgia value as they get older," says Howard Roffman, a longtime licensing executive with Lucasfilm Ltd., the Star Wars production company. "We've been fortunate that we haven't suffered from the phenomenon where you embrace something as a kid and it becomes uncool when you're older." In part, that's because the books and video games have been carefully targeted at fans of different ages. New content also helps keep the brand current. There was a period during the late '80s and early '90s — between the release of the two film trilogies — when Star Wars toys wouldn't sell. Lucasfilm and its many licensees have since been clever about renewing interest by bringing out new story lines through books, games and cartoons. "You do need new entertainments, you do need new events that keep people engaged, or, in some cases, introduce it to a new generation," Roffman says. Characters who were bit players in the movies, such as the bounty hunter Boba Fett, have become big stars in the world of ancillary products. Lots of little kids seem to love R2D2, thanks to his beeping and whistling and small stature. "George Lucas was just smart in creating a variety of characters, all the different characters that people can relate to," says Jon Scorfina, manager of Star Clipper, a comic book store in University City, Mo., that is loaded with Star Wars paraphernalia. "Star Wars is a product line that we can always put in the window, and people will come in for it," he says. "If you put the Darth Vader cookie jar in the window, people will come in and ask about it."